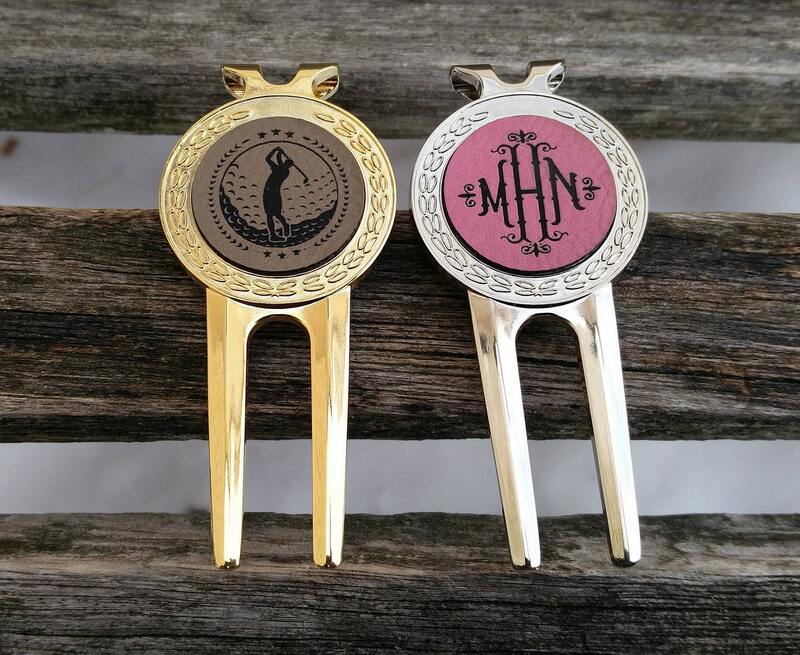 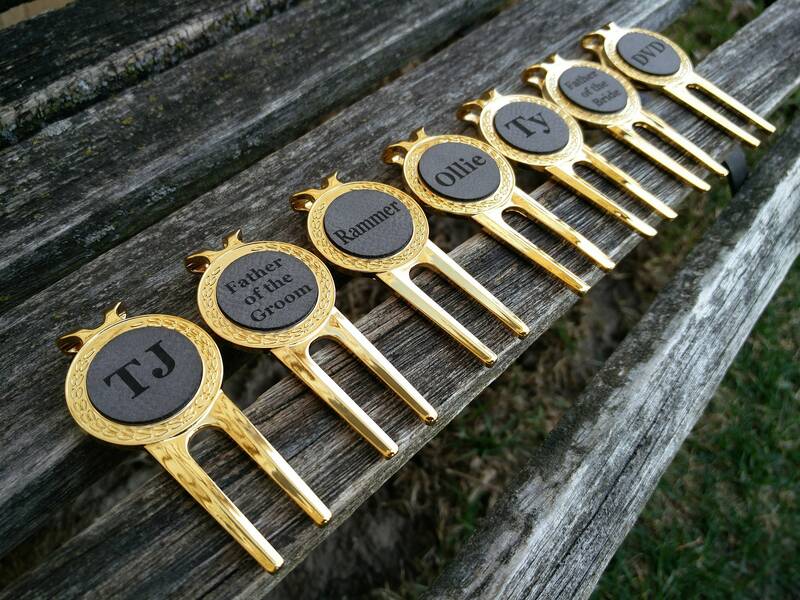 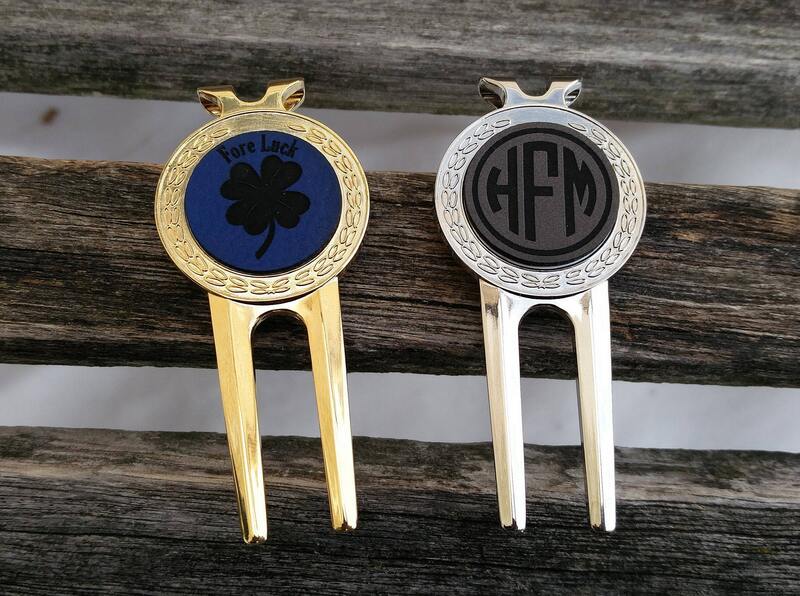 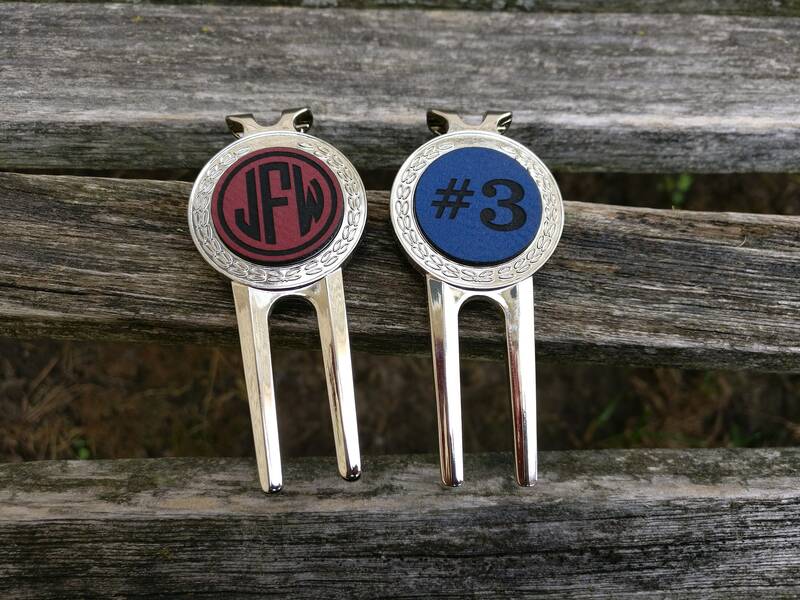 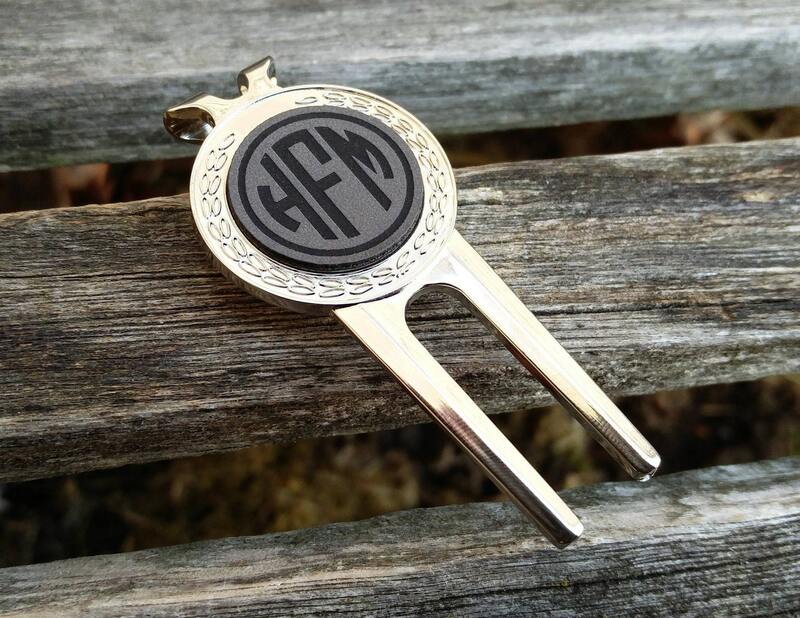 This golf divot tool makes a great gift! 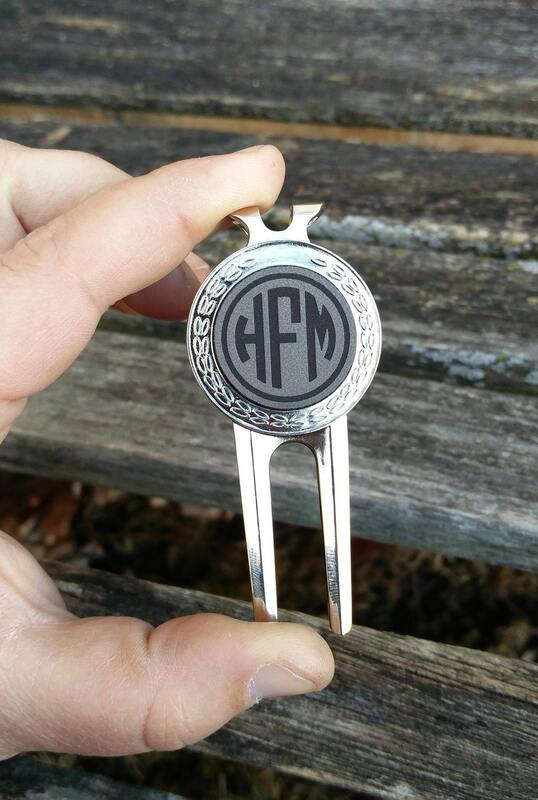 It has an inset leather circle that can be engraved with whatever you want. 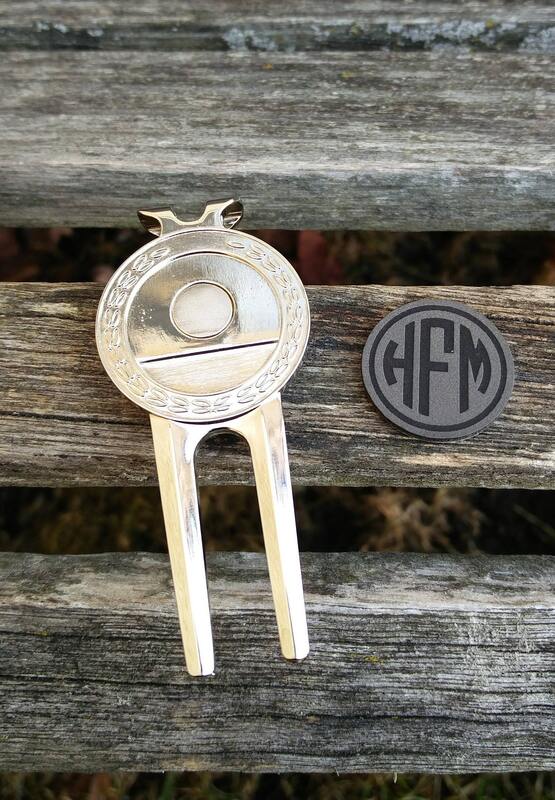 The circle part is a magnetic marker that pops out and can be used to mark your ball spot. 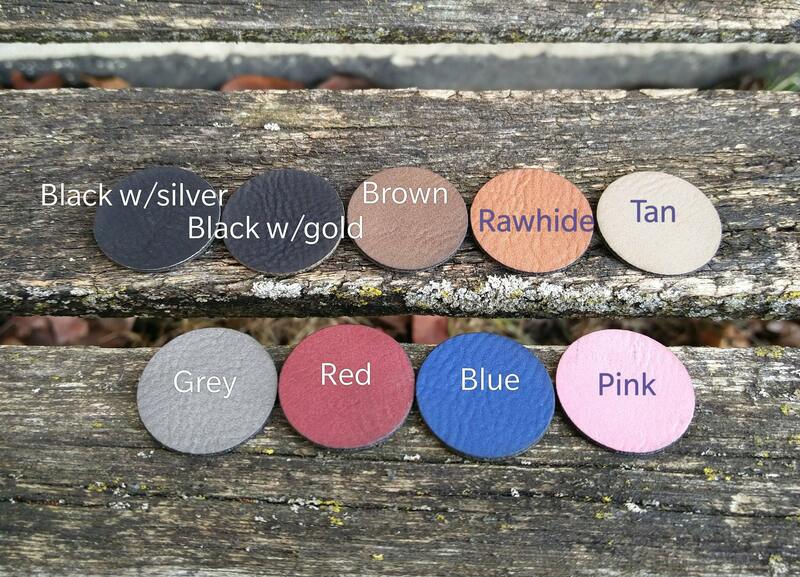 The leather comes in 9 different colors. 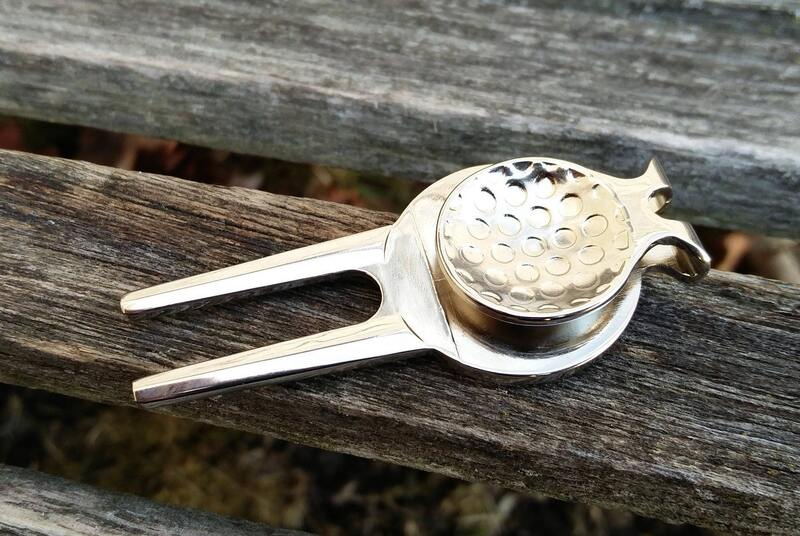 (See photos)The tool comes in a gold or a silver color and measures 3 inches long. 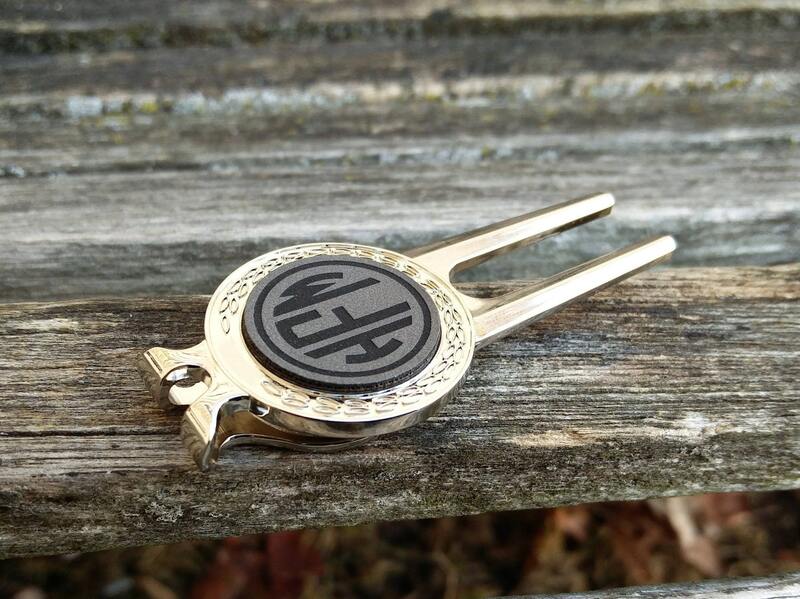 The leather insert measures 1 inch.